Have you ever noticed how as soon as you put something onto your to-do list, even if it's something you want to do, it kind of becomes a chore? February's kind of a strange month. Is it winter? Is it spring? It's a mix of grey skies and pink petals, wishful thinking and uncomfortably wet socks. Let us burn the candle at both ends with the smell of wet dirt in the morning and the coziness of old books in the evening. Without further nattering, here's a February smattering. I should apologize for subjecting you to that rhyme, but I'm not going to. It does segue into one of my seasonal things, though--February always finds me reaching for poetry! For Burns Night last month I amused myself by reading his "To a Mouse" in a completely horrible accent. I recommend so doing. 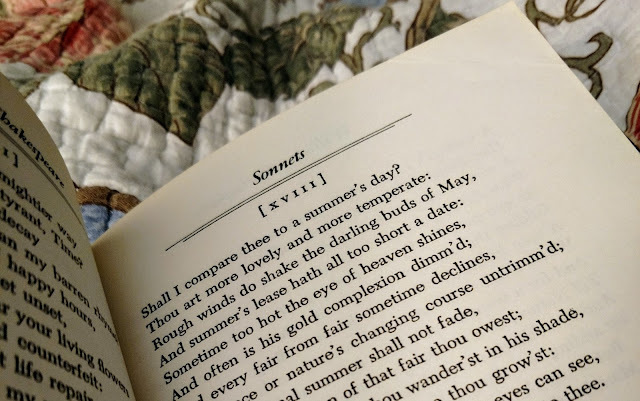 But for February I love Elizabeth Barrett Browning, and Emily Dickinson, and sometimes Shakespeare. If you are eating cookies while reading your poetry in honor of the month of looooooove, here is an easy little trick for making heart-shaped cookies out of almost any recipe! Over on Instagram, I've been in full-on Springtime mode. :) Flowers and April showers! Also, do check out @chateaudelaruche, @under_suffolk_skies, and @harryandfrank . I can't wait to see what spring is like in England and France through their eyes this year. 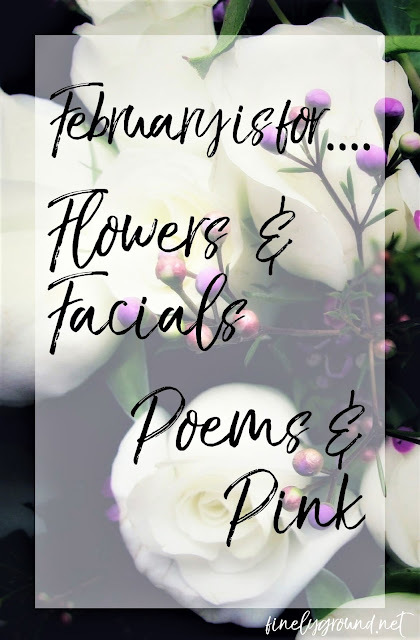 Finally, whether you're primping for your Valentine or yourself, I think February's a great time to do a little splurging on beauty and skincare. Tried my first Bubble Mask the other day and it was fun and novel. Also picked up some Dr Teals Pink Himalayan Mineral Soak -- the bergamot scent is refreshing and pleasantly reminiscent of Earl Grey tea! How are you making the most of February this year? Note: the links to Amazon products are affiliate links.